The Tannourine family invites you to their table for savory Lebanese dishes for the body and soul. "Does this make you want to come in now or later?" "Our guests will always be treated like family!" "Let's make this week memorable." "We want to know the first thing that comes to mind!" Always delicious, always amazing! Never disappoints! I eat Middle Eastern food quite frequently, so for me to give a restaurant 5 stars is rare. I live in San Diego and I wish we had Baba Ghanouge and Kibbeh that was as good. I’m defintely coming back! Yes, I'd like to receive news from Tannourine Restaurant. 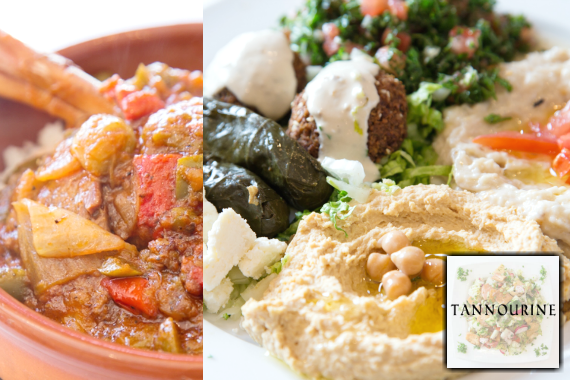 Sign up for the Tannourine Restaurant Newsletter!